As you might have sensed in a recent post on Parisian tailors Cifonelli, I was rather taken with Lorenzo’s stylistic details. 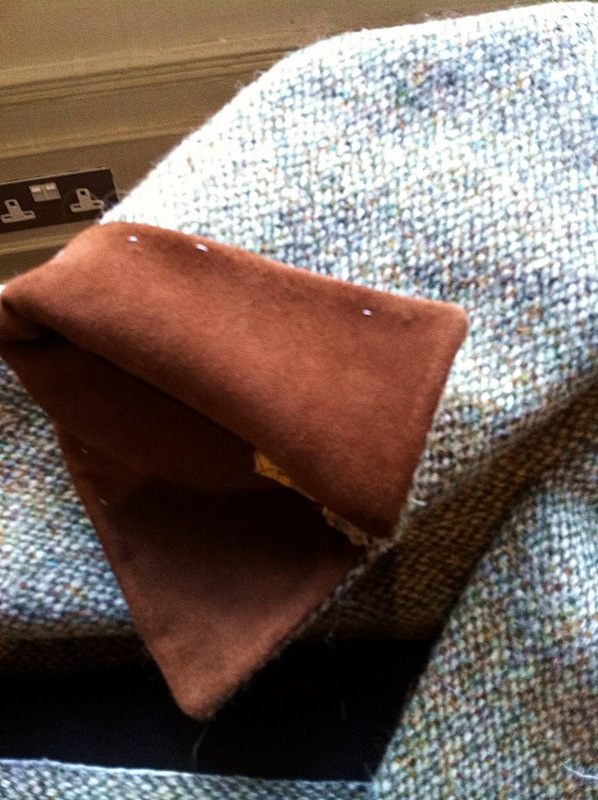 That led to a commission for a Harris tweed jacket including his slash pockets, five-button front up to the throat, suede undercollar, suede reverse to the cuffs and suede tab on the breast pocket. 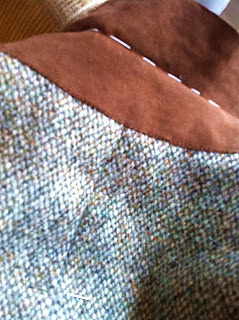 Tan/green tweed with some nice flecks of colour. One fitting in Paris using an old piece of flannel, a basted fitting here in London and then finished for delivery in a couple of weeks. With the option of a few tweaks later in the Spring when Lorenzo is in London again. Pretty speedy. You can follow the discussion on Tweed jacket from Cifonelli by entering your email address in the box below. You will then receive an email every time a new comment is added. These will also contain a link to a page where you can stop the alerts, and remove all of your related data from the site. 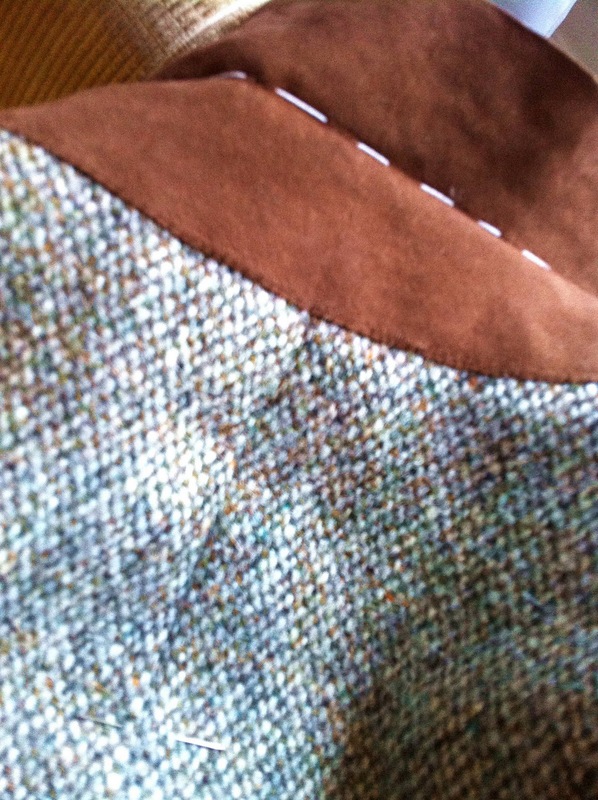 I really like the tan/green colour of that particular tweed Simon, perfect for Spring I’d say mate. 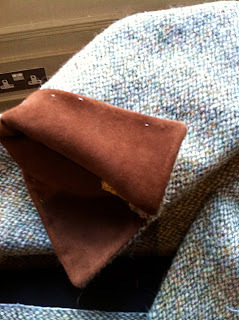 I’m struggling to find a tweed coat for Spring so far, everything I’ve got/seen is far too heavy. As ever the site has some interesting articles. Keep up the good work! 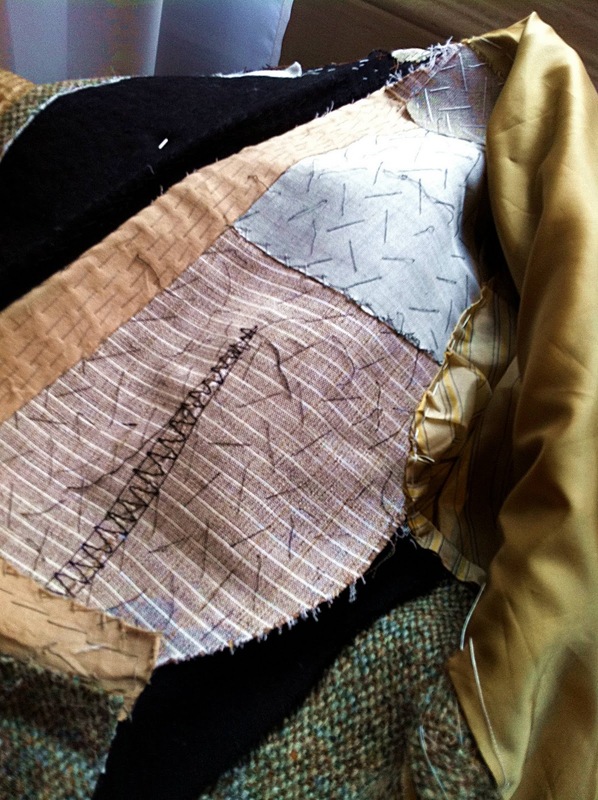 Am particularly interested in seeing how the Cifonelli piece turns out. Please post pictures when its completed. A couple of questions though. Was the order fully bespoke? And can you give us an indication of the price that Cifonelli charges for that type of service. Many thanks! 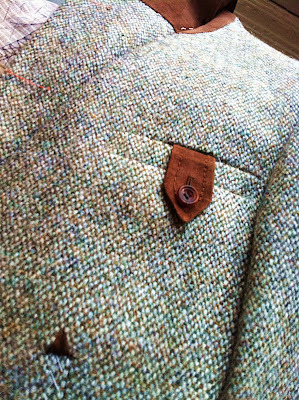 The tweed jacket looks very beautiful. What will be the cost for this jacket? And yes, it is full bespoke. Didn’t know where to ask this: What are your feelings about Cordings? Suits, shirts and so on. Ready made, seemingly with an eye on quality. Be interested to hear your thoughts. What tweed was this coat made from?